Growing legume crops in rotation with canola and barley can provide a viable alternative to inorganic nitrogen. Legumes can provide a nitrogen benefit to the following crop, but a consistent, measurable benefit does not extend to crops grown two and three years afterward. 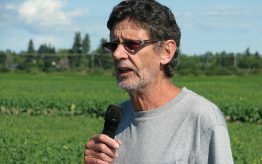 John O’Donovan with Agriculture and Agri-Food Canada (AAFC) led this study to see whether legume crops (fababean, pea and lentil, specifically) in the rotation can provide a practical alternative to inorganic nitrogen (N) fertilizer. Legumes, with their ability to fix nitrogen, have the potential to reduce the requirement for inorganic N in subsequent crops. The objectives of this study were to investigate the effects of growing canola on various legume crop residues compared to growing canola on wheat or canola residues, and to find out if growing a legume crop to supplement the nitrogen requirements of canola is economical and could reduce the amount of inorganic nitrogen required to optimize yield. Experiments were established in 2009 at seven locations: Beaverlodge, AB, Lacombe, AB, Lethbridge, AB, Scott, SK, Indian Head, SK, Swift Current, SK, and Brandon, MB. In the first year, main plots were seeded to all stubble options, including peas, lentils, fababeans, wheat and canola harvested for seed, and fababeans as green manure. In 2009, legumes received no fertilizer nitrogen (N) while canola and wheat were fertilized according to the soil test recommendation. The original stubble crops, including the legumes, were planted in 2009 only, and the effects on barley and canola yield were measured for the following three years. In 2010, hybrid canola was seeded into all stubbles, and N was applied at 0, 30, 60, 90 and 120 kg/ha. Each specific N rate was maintained on the same plots again in 2011 and 2012. All crops were direct seeded using zero tillage seeders with knife openers. In 2011, malting barley was seeded into the canola stubble. In 2012, the trial rotated back to canola. Figures 1-3. 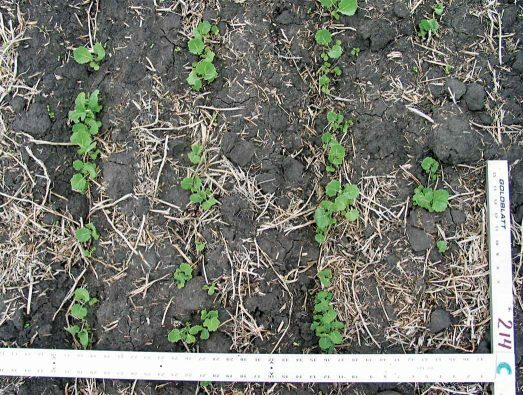 Canola (2010, 2012) and barley (2011) yield at Lacombe as affected by nitrogen rate and various crop residues established in 2009. Significant increases in canola yield occurred on pea and lentil residue at Beaverlodge, Indian Head, Swift Current and Brandon, but the increases were generally not as high as when canola was grown on fababean green manure. Canola yield increases, averaged over all N rates, ranged from 158 to 320 kg/ha with pea residue and 173 to 606 kg/ha with lentil residue as compared to canola grown in wheat residue. 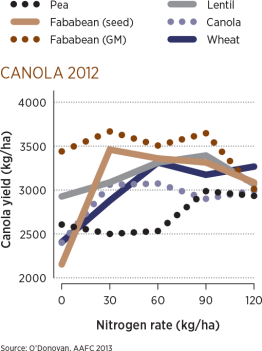 Growing canola on canola residue resulted in significant canola yield reductions at Beaverlodge, Lethbridge and Brandon. At most locations, the percentage of canola oil decreased and protein concentration increased as the applied N rate increased. 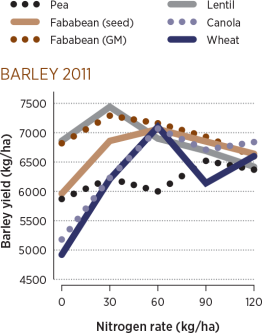 Barley produced higher yield on legume stubble than on wheat stubble at most locations. Fababean green manure residue tended to be the most consistent and effective in enhancing barley yield, but beneficial effects of pea and lentil residue also carried over to 2011. Pea residue increased yield at Beaverlodge, Lethbridge and Brandon, while lentil residue increased yield at Beaverlodge, Lacombe, Indian Head and Brandon. In most cases, there was a general increase in yield with increasing N rate. However, the significant interaction between residue and N rate at Beaverlodge and Lacombe suggests that the N rate required to optimize yield varied with crop residue at these locations. Optimum barley yields tended to occur with N rates of 60 kg/ha at Scott and Lethbridge, 90 kg/ ha at Indian Head and Swift Current, and 120 kg/ha at Brandon. 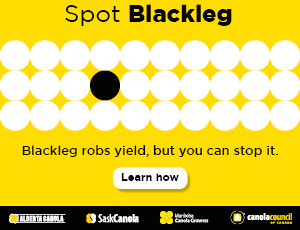 The effects of the crop residues established in 2009 had highly variable, unexplainable, and somewhat unexpected effects on canola yield in 2012. Improved canola yield due to the fababean green manure residue was evident only at Lacombe and Lethbridge, while improved yield due to pea and lentil residue occurred only at Lethbridge. Unexpectedly, there were several instances of canola yield decreases where legume crops were grown in 2009 compared to where wheat residues were grown. This occurred with pea residue at Beaverlodge, Lacombe, Indian Head and Brandon, with lentil residue at Brandon, and with fababean green manure residue at Swift Current and Brandon. At Brandon, all residues (with the exception of fababean grown for seed) resulted in reduced canola yield relative to wheat residue. These results are difficult to explain. There was no evidence of increased disease incidence with the legume residues. Both N and non-N effects are expected from crop rotations. These include disease effects, effects on microbial community, residue volumes, physical effects of fibrous versus taproots, and different rooting depths. In the 2010 canola crop, there were no differences in soil microbial biomass, diversity or enzyme activity between treatments at Lethbridge. At Beaverlodge, microbial biomass was highest where canola was grown after field pea, and lowest where canola followed lentil. At Lacombe, there were no differences between treatments. Crop residues had few significant effects on gravimetric soil moisture. In the fall of 2009, total soil nitrate-N in the upper 60 cm was highest after fababean green manure in half of the sites, but it was not consistently higher after legume crops than after canola or wheat. However, when averaged across locations, fall nitrate levels were highest after fababean green manure and lowest after wheat. 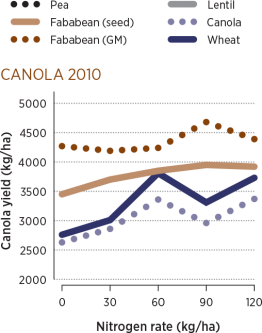 Effects of preceding crop on nitrate-N persisted through the following season of canola production to the fall of 2010. By 2011, after the production of a second crop, barley, significant effects of the crop grown in the first year of the study only occurred at Beaverlodge, where the fababean green manure still had higher soil nitrate levels than the other crops. Significant increases in canola yield occurred on pea (shown here) and lentil residue at Beaverlodge, Indian Head, Swift Current and Brandon.